Allthough the hotel is situated 400m from the last metro stop, it is a civilized area with no apparent security issues. The location was good, the room was big and the breakfast was really nice, also the staff is very kind. 26 euro a night price was good, all else total disaster! Complete disaster hotel and location. It’s ok for 25 euro a night that I paid but everything is a complete mess and very dirty, shower has mold and bad smell. The staff was nice and helpful! The tram that takes you to the center was right across the hotel, a time amd money saver. So even though the hotel is not in the center, the center was extremely accessible. Compared to others, the cheapest and comfortable enough to enjoy your visit. Staff was friendly and helpful . We have received travel cot and extra blankets upon request. Subway is nearby and takes you all the way to downtown. Perfect for budget travel. Close to the underground train, trams, buses. Good breakfast, Friendly and helpful stuff. old, but clean and good hotel. very nice location. Hotel Hadrigan This rating is a reflection of how the property compares to the industry standard when it comes to price, facilities and services available. It's based on a self-evaluation by the property. Use this rating to help choose your stay! Hotel Hadrigan in Vienna's district of Ottakring is a 15-minute ride on public transport away from the very heart of Vienna. Buses and trams stop in front of the house. 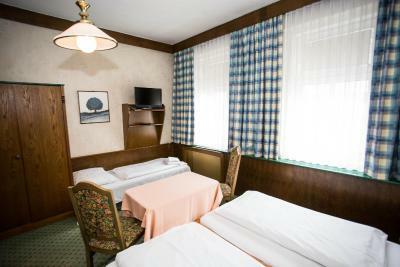 The hotel offers free WiFi access in all rooms. 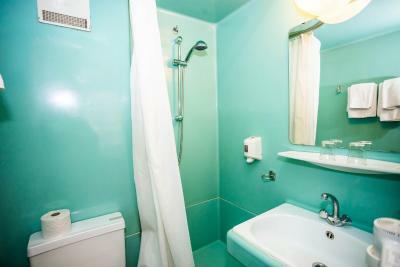 The Hadrigan Hotel’s bright rooms are all accessible by elevator and feature a safe, satellite TV, and a bathroom with a hairdryer. Ironing facilities are available at the 24-hour reception. A daily breakfast buffet is available for a surcharge, and a chargeable parking garage is 250 feet from the hotel. Tram line 46 and bus line 48A stop right outside and provide direct connections to the heart of Vienna. Tram line 10 goes to Dornbach with some small Heurigen wine taverns. The Wilhelminen Hospital is just 650 feet away. A supermarket is across the street, and many shops and restaurants are just steps away. 16. Ottakring is a great choice for travelers interested in convenient public transportation, walking and old-town exploration. When would you like to stay at Hotel Hadrigan? Room with a safe, satellite TV, and a bathroom. This single room has a satellite TV. House Rules Hotel Hadrigan takes special requests – add in the next step! Hotel Hadrigan accepts these cards and reserves the right to temporarily hold an amount prior to arrival. -Its near the railway and cheap. Sound isolation was super bad. I can hear the sound of people talking, taking shower and flushing the toilet very clearly in the midnight. Very old furnitures. Mattress was too soft, bad quality. Price is too high for such conditions. Good location, near to bus and subway station. Staffs were nice. 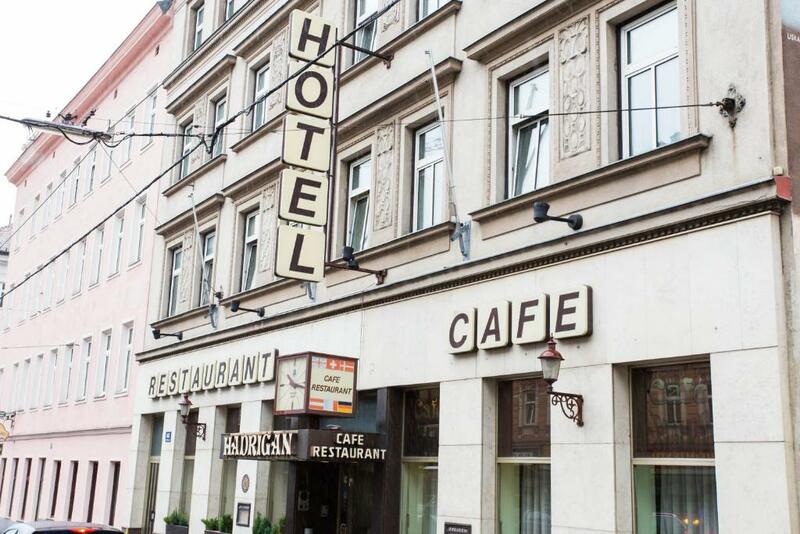 The hotel is situated at 20 minutes from the centre of the town with U3. The personal is very friendly and the breakfast is good although is the same every day. An old an partly worne hotel. Is however clean and have a superb staff. Location was for us perfect. Location near the main road makes it a kind of noisy at times. Double room was booked but the roo. Had 4 beds instead of 2. Big room with clean linen. Walking distance from the metro and next to bus stop. Great. Noisy a little bit. Old neighborhood. Old facilities. We have had a very bad e periwnce the firat night with a bad smoking smell. Burned carpet room. Burned and unclean curtains. We hardly slept the whole night. The next day they have changed the room for us. Old and dusty corridor and room carpets. Old walls that you could hear voices form the other room. Smell of a cigarette in just one night was over our whole clothes. Sorry to say that but I would not recommend this hotel to anyone!! Where should I start... There was dust everywhere, the chairs were very dirty, I couldn t sit on them. There were spider webs on the ceiling!!! At night, when one of our neighbours would flush, WE COULD HEAR IT VERY LOUD. It is really annoying when you are waken up 5 times a night :( The shower curtain had mold on it. The bathroom (and I am not exagerating) started to smell like pee at the end of our stay. The housekeeping lady was not working those days, I assume. But I was super happy because the sheets were clean and white and crisp. 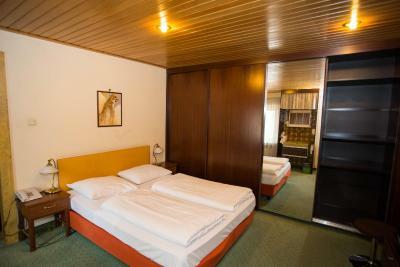 The location is great; the staff - friendly and kind; The hotel is clean and cosy. 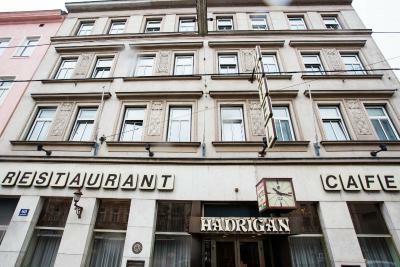 I didn`t see any sign with Hotel Hadrigan from the outside. I saw only only a carpet when you enter the place saying that. The hotel definitely need some renovation work to replace some of the old appliances or carpets/ wooden floor.